Thank you so much for your purchase of STEAM Kids during our launch week special. We hope you’re loving STEAM Kids!! If you purchased your book on Amazon and emailed your receipt or order screenshot to steamkids @ leftbraincraftbrain.com, you should have received an email from Left Brain Craft Brain with a coupon code for your free download. 2. After you’ve entered the code and checked out, it will pop up to a download screen. If you are using Windows or a Mac, click download. The file will save to your Downloads folder. If you are on an Apple mobile device, click the product title to open the PDF and then click the Open in iBooks button in the top right hand corner to save the file to iBooks. If you are on an Android mobile device, click download. The file will go to your Downloads or My Files folder. 4. 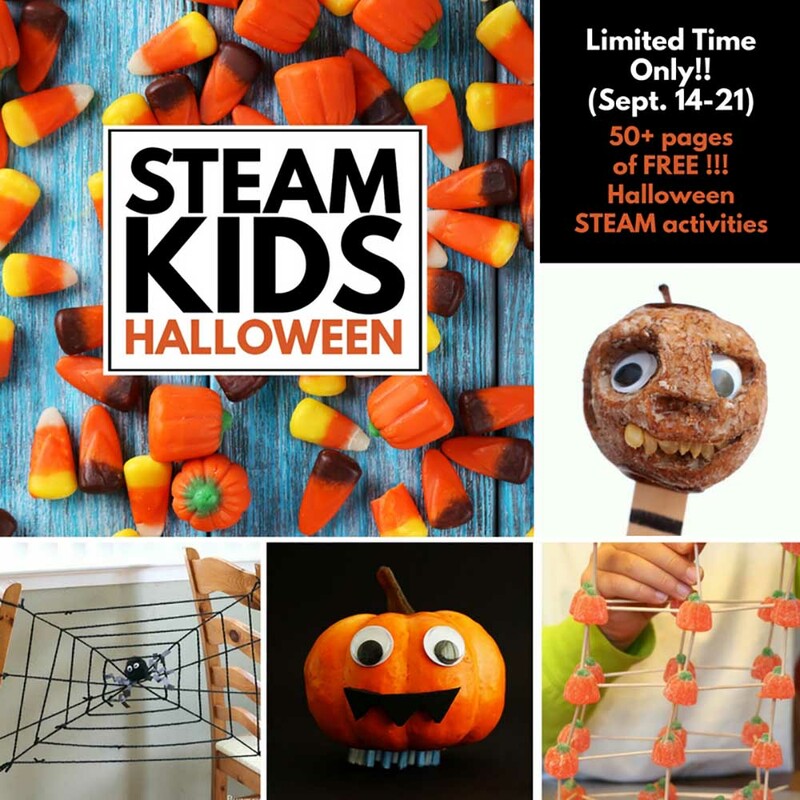 The file is named STEAM_Kids_Halloween_v1.0.pdf. Having trouble? Please contact steamkids @ leftbraincraftbrain.com with questions.